The best short walk in the Park! 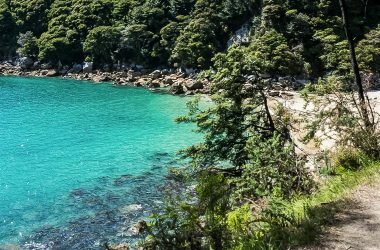 Walk the Pitt Head Loop Track via the most beautiful beach in the Park: Te Pukatea. 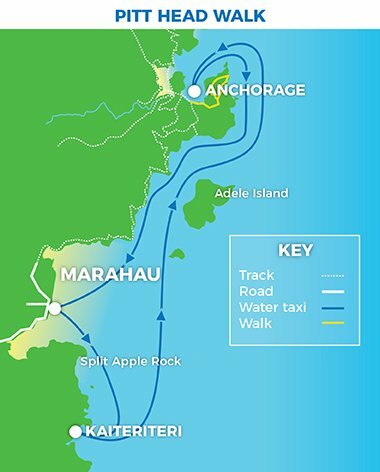 Marahau/Kaiteriteri to Anchorage: 45 min. 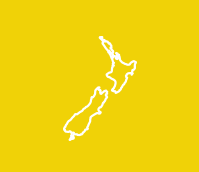 Anchorage to Marahau/Kaiteriteri: 45 min. The best short walk in the Park! 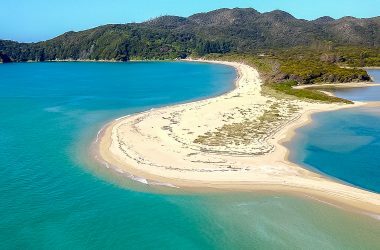 Cruise by water taxi to Anchorage then take an easy walk around the Pitt Head Loop Track via the most beautiful beach in the Park: Te Pukatea or just chill out on the beach. 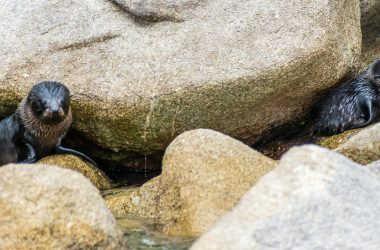 What’s included in this tour? 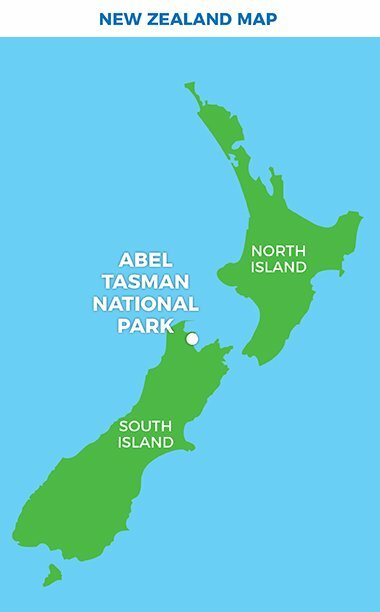 Return water taxi + return bus to/from Nelson: Bus from Nelson, return water taxi fare and return bus to Nelson. 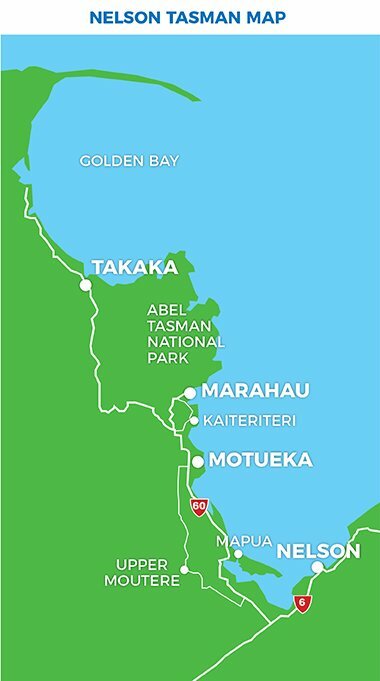 Return water taxi and walking trip: Travel the length of the park to Totaranui and back to Onetahuti for a 1.5hr walk to Bark Bay. 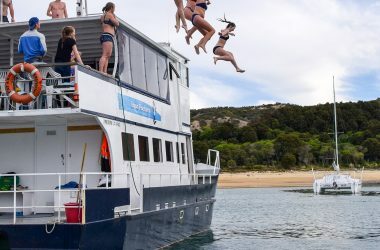 One way water taxi + return bus to/from Nelson: Bus from Nelson, water taxi to Bark Bay and walk back to Marahau to catch your return bus to Nelson. 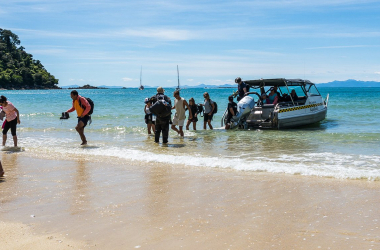 Return water taxi and walking trip: Water taxi from Totaranui to either Bark Bay or Onetahuti, walk to Awaroa before returning to Totaranui on your water taxi. 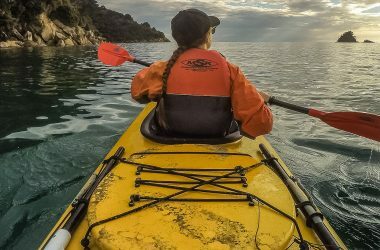 Guided kayak trip: Walk the best section of the Coastal Track in the morning and kayak through the Astrolabe in the afternoon. Return water taxi trip: Water taxi from Totaranui to Marahau for a brief look around before returning to Totaranui by water taxi. 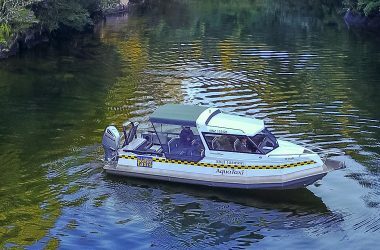 Return water taxi and walking trip: Water taxi the length of the Park to Totaranui and then back to Torrent Bay. Walk north to Bark Bay (2.5hrs). 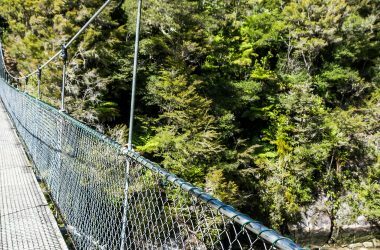 Return water taxi and walking trip: Water taxi to Torrent Bay, walk the scenic Coastal Track to Bark Bay (2.5hrs) crossing the Falls River Swingbridge. 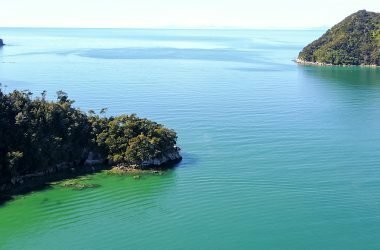 Water taxi and accommodation package: Day 1: Water taxi to Onetahuti, walk to Anchorage (6hrs), overnight onboard Aquapackers. Day 2 walk from Anchorage to Marahau (3.5hrs). 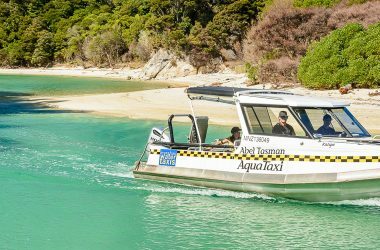 Water taxis provide quick and convenient access to the six major bays along the spectacular Abel Tasman coastline. Return water taxi and walking trip: Water taxi from Totaranui to Torrent Bay before walking through to Bark Bay. Water taxi back to Totaranui.